When one is invited for an Arangetrum, it is always hard to know the level of expertise and polish that the dancer will exhibit. Some students in India present their Arangetrum at the tender age of 10 – when they barely understand the depth of emotions that a dancer portrays, let alone the concept of Sringara. I should have known in attending the Arangetrum of Priyanka Rajan, student of Smt Hamsa Venkat, that we were in for an evening of high standards. I had seen Priyanka dance recently as part of Sankhya – a Journey with Numbers – so was looking forward to watch her excel herself as a soloist. This was an Arangetrum with many differences. 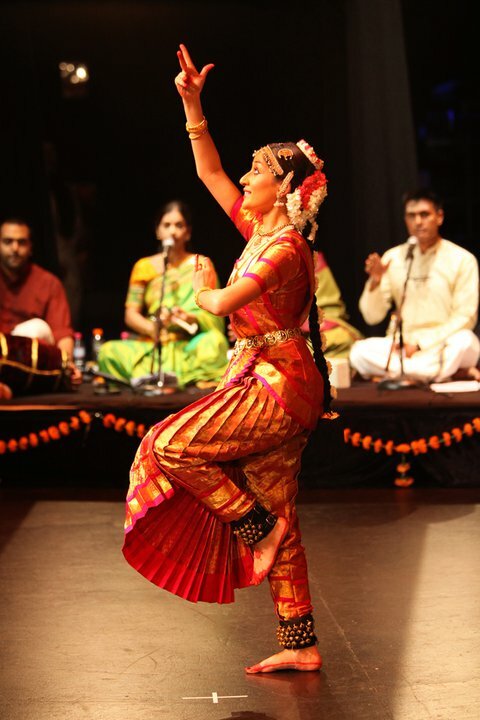 As Hamsa so eloquently explained in her speech, Priyanka had asked her teacher if she could do a few different things – like bring in other dancers – something rarely if ever done in an Arangetrum (as it is the solo debut of the artist). Or the use of extracts from the Bhagavad Gita; or having a piece set to instrumental music. It was clear as an artist, Priyanka had many diverse ideas, and wanted to challenge the “traditional” format of an Arangetrum. The other element that was different in this performance was the use of so many languages – Marathi, Telegu, Sanskrit, Kannada and Tamil – again showing diversity in the music and challenges in the choreography. Priyanka began the performance with Ganesha Vandanam – beautifully showing the dancing Ganapati with her light footwork and engaging expressions. This piece was a Marathi Abang and immediately brought a sense of differentiation to the program. The Suryanamaskaram that followed was a wonderful salutation to the bright presence of the Sun God Surya, and interspersed the elements of the yogic surya namaskaram into the dance. This was followed by a Purandara Dasa kriti in praise of Lord Vishnu. The next item saw one of the “guest” dancers perform with Priyanka – another student of Hamsa’s, Govind Pillai. 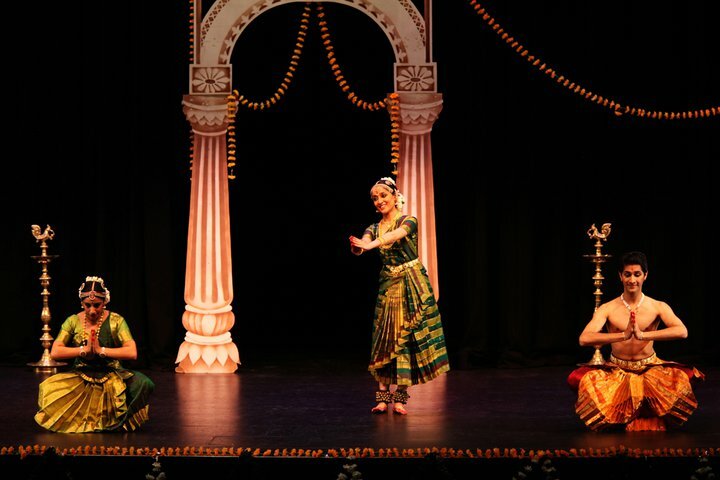 A dedicated dancer himself, based in Melbourne and thus juggling a career and a commitment to dance that spans the border, Govind and Priyanka presented Ardhanareeshwaram – Lord Shiva in his androgynous form of half male, half female. Govind and Priyanka demonstrated the male and female aspects of Lord Shiva with precision. It could be said that the dynamic contrast between male and female dance could have been stronger, as their execution of the steps was similar in strength, rather than presenting a vibrant contrast of the male dancing form and the female dancing form. Priyanka artfully displayed the doubts that plague Arjuna as he prepares to face his family on the Kurukshetra battlefield. One could truly feel the magnificence of Lord Krishna as he reveals his true form to Arjuna, giving him the strength to go on. For a Varnam it was not long however the theme was engaging and the abhinaya brought the characters to life. Following the interval (in which of course delicious Indian snacks were served to replenish the audience) Priyanka presented an abhinaya piece set only to instrumental music. Not having the words to rely on for a dancer makes it even more challenging as it is purely the dancer’s expressions, gestures and body that bring the dance to life. In this piece she presented Ahalya Moksham – following Ahalya’s punishment of being turned into stone by her rishi husband for accepting Lord Indra’s embraces; she awakens to find herself revelling in the sun, the air, the flowers and nature – but sadly also realises she is all alone. Priyanka brought the emotions through beautifully, enabling the audience to feel Ahalya’s wonderment of her discovery. The Pandattam was the second item where Priyanka shared the stage with another dancer and friend. This time she danced with Rithika Ramaswamy, long time friend and student of Smt Anandavalli. The friendship bond between the two girls was evident as they playfully tossed the ball around the stage, chasing and teasing each other, and trying to outdo one another. The Sringara Nayaka, a Javali in Kannada was exquisite. Priyanka beautifully portrayed a nayaka who was waiting eagerly for her lord, and instead is visited by her friend – the very messenger she sent to her Lord to bring him to her. To her dismay she finds her friends eyes red with lack of sleep, her clothes in disarray, and wearing the very bangle she gave to her Lord for him to make her a new one. Could she forgive this betrayal of a friend and a lover? Priyanka finished the performance with a beautifully executed Thillana, a composition of Balamurali Krishna in Kuthalavarali. 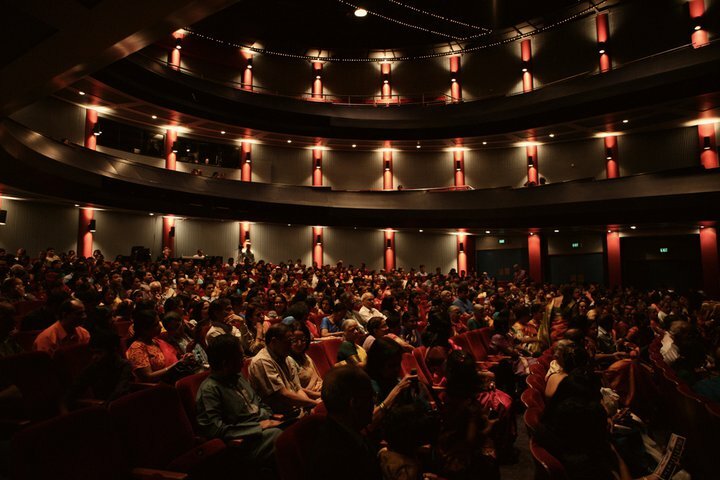 It goes without saying that the orchestral support of Anand Dixit and Sangeetha Ayyar on Vocals, Mohan Ayyar on Synthesiser, Balaji Jagannadhan on Violin and Bala Shankar on Mridangam brought the dance to life. Sitting in the second row I often found myself watching these superb musicians, and as a dancer, wishing to be able to dance to their soul stirring music. Hamsa Venkat’s choreography is fresh and inspiring, she never lets the viewer down as she presents creative and interesting items, new themes and of course serenely executes the Nattuvangam in her melodious voice. 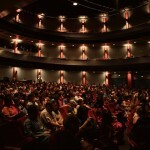 This was not an Arangetrum – it was a performance of professional quality and one that was a pleasure to watch. Time did not drag, rather it flew and all the artists, especially Priyanka deserve a big pat on the back. Dear Priyanka, we are all proud of you being so lively and beautiful, thanks for having us on the occation, may GOD bless you.